The LEGO Mindstorms EV3 system is a great way to build robots or other autonomous creations, but it can have a steep learning curve. For those not familiar with Technic or Mindstorms, it is a different type of building experience than the LEGO System and the programming can be a new experience for a lot of people. 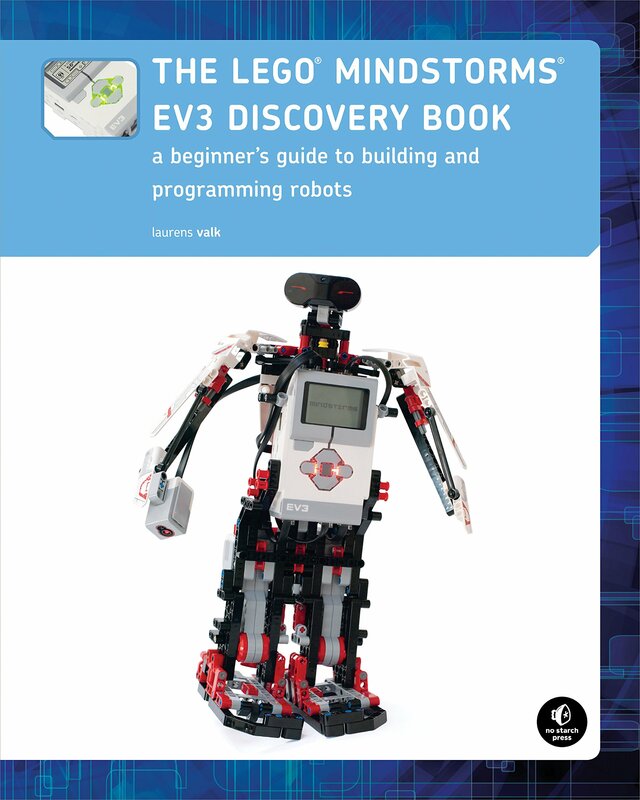 For those beginners who need a place to start, The LEGO MINDSTORMS EV3 Discovery Book by Laurens Valk is a possible starting point. The LEGO MINDSTORMS EV3 Discovery Book opens by assuming the reader has no experience with LEGO Mindstorms. It introduces the reader to the Mindstorms system, shows them how to set up, what the different parts are, and moves on from there. The first chapter teaches step by step how to build a basic robot and program it, so the reader can get up and running with the basics very quickly. The book is broken down into six parts: getting started, programming robots with sensors, robot-building techniques, vehicle and animal robots, creating advanced programs, and machine and humanoid robots. Once the basics are mastered, if someone wants to jump ahead to build a Formula 1 car or a walking robot, they directions are pretty explicit. Even though the chapters and robots build on what comes before, the directions are clear enough to build the robots you want rather than build each individual in succession. For beginners who need a place to start and want to learn to make autonomous cars, walking robots, or robot animals, The LEGO MINDSTORMS EV3 Discovery Book is a great place to start. Rather than copying without explanation from the demo robots in the EV3 software, the book not only gives directions to follow but also gives explanations as to why techniques are used and how the programming actually works.